Dimensions 1 by 5.25 by 4.75 in. Amazon.com description: Product Description: When all questions of space, time, matter and the nature of being have been resolved, only one question remains - "Where shall we have dinner?" 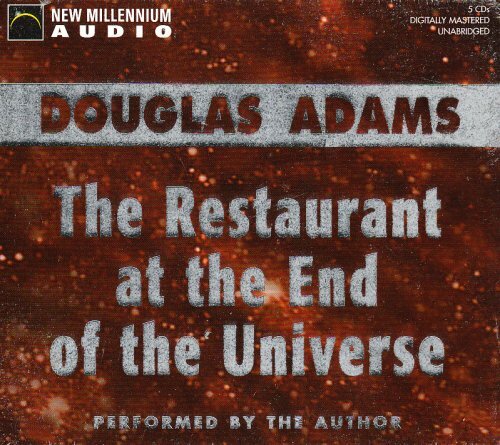 "The Restaurant at the End of the Universe" provides the ultimate gastronomic experience, and for once there is no morning after to worry about. This is volume two in the Trilogy of five.